Tonight, my Washington Nationals lost to the Philadelphia Phillies. Normally, this would be a bad thing (ugh, Phillies), and in a pennant race, a worse thing. 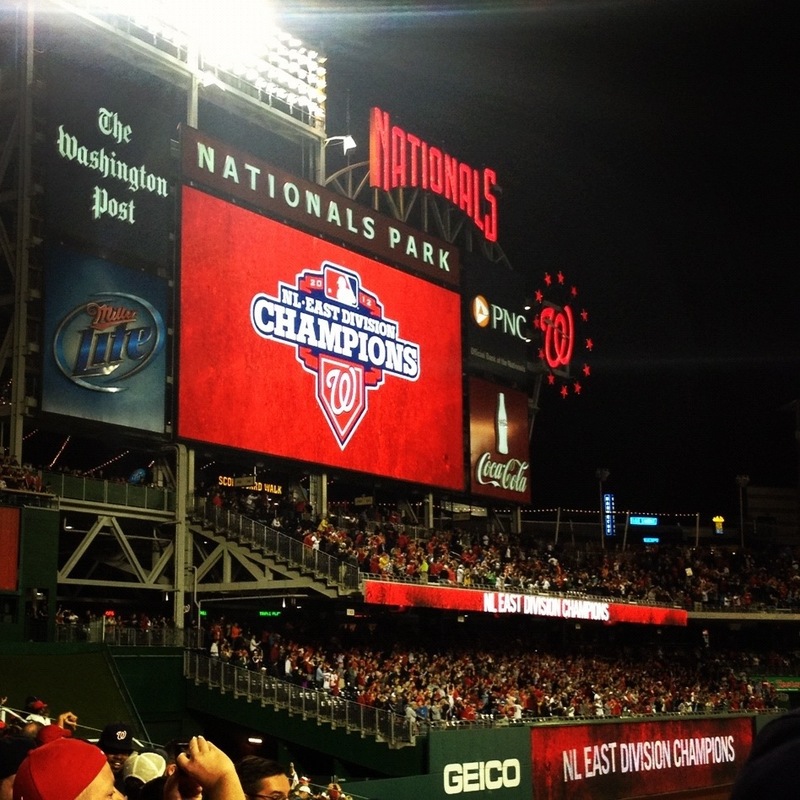 Tonight, however, it was no big deal, because as the Nats game hit the midpoint of the ninth inning, the Atlanta Braves lost to the Pittsburgh Pirates, which meant that — win or lose — the Nationals had clinched the National League East. 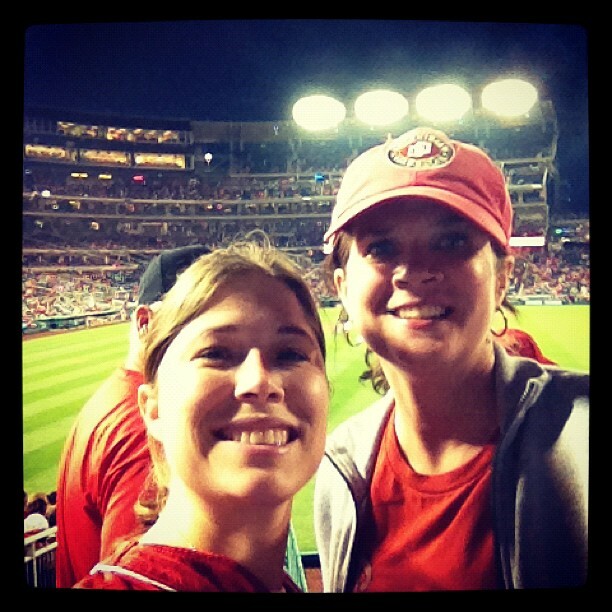 Jenna and I, showing our Natitude as the game got started. The game wasn’t even over yet when this appeared on the jumbotron. Thanks, Pirates! 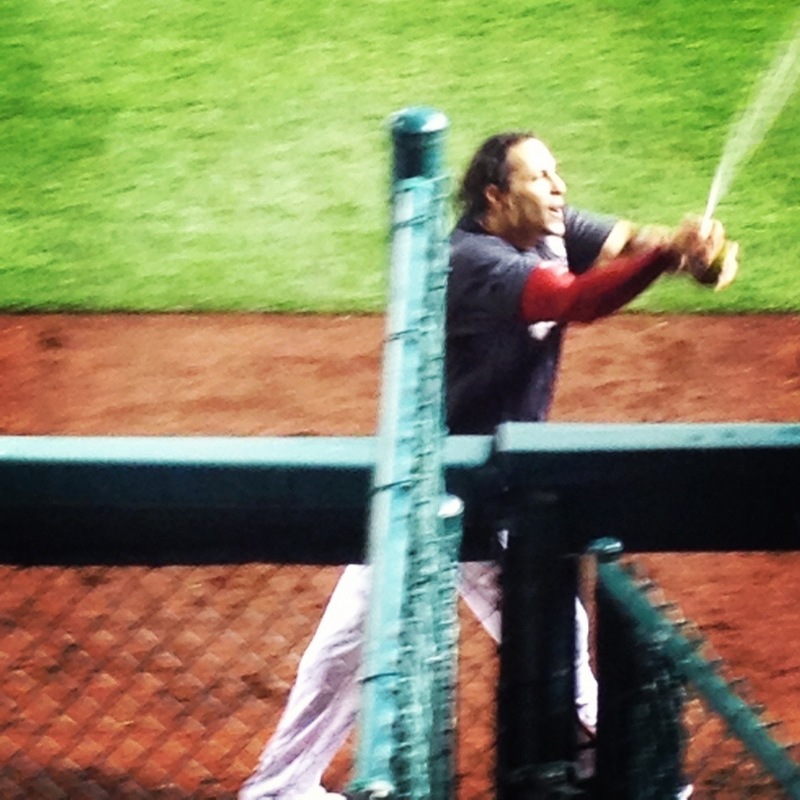 Michael Morse ran out to left field (his position) and sprayed the fans with Champagne. 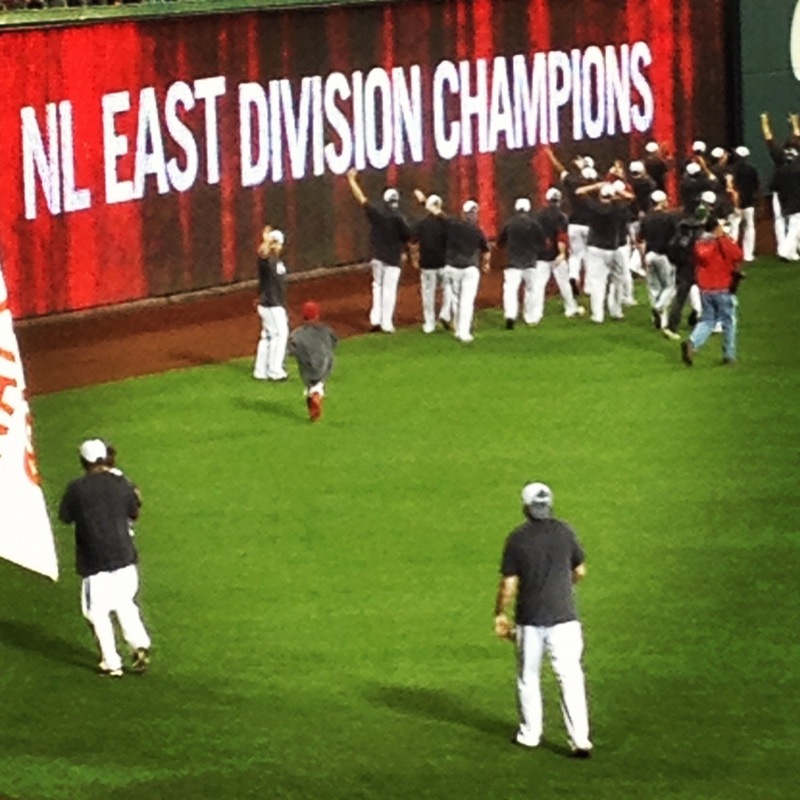 The Nats finished their on-field celebration with a lap around the warning track, waving at fans and slapping their hands. Very cool! Previous Article Sunday Snapshot: Unsinkable! Sarah…I was thinking of using the same headline, so I’m glad I didn’t totally channel you! It was so much fun!! Congrats!!! You and Jenna look so happy! !